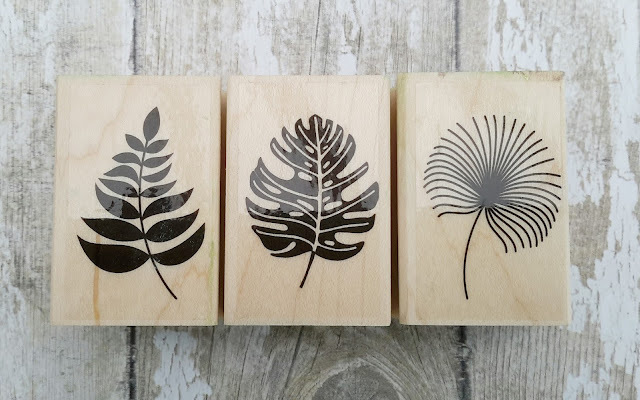 I've noticed a theme in my stamp collection.... florals n' foliage. In fact my whole life revolves around plants. My house and garden are full of them...I'm a plant addict. 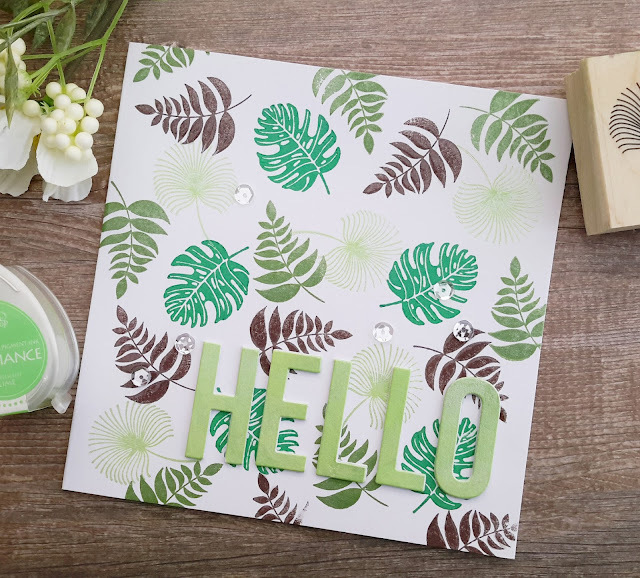 This Tropical Leaves wooden stamp set is from Hero Arts and is a one of my favs. 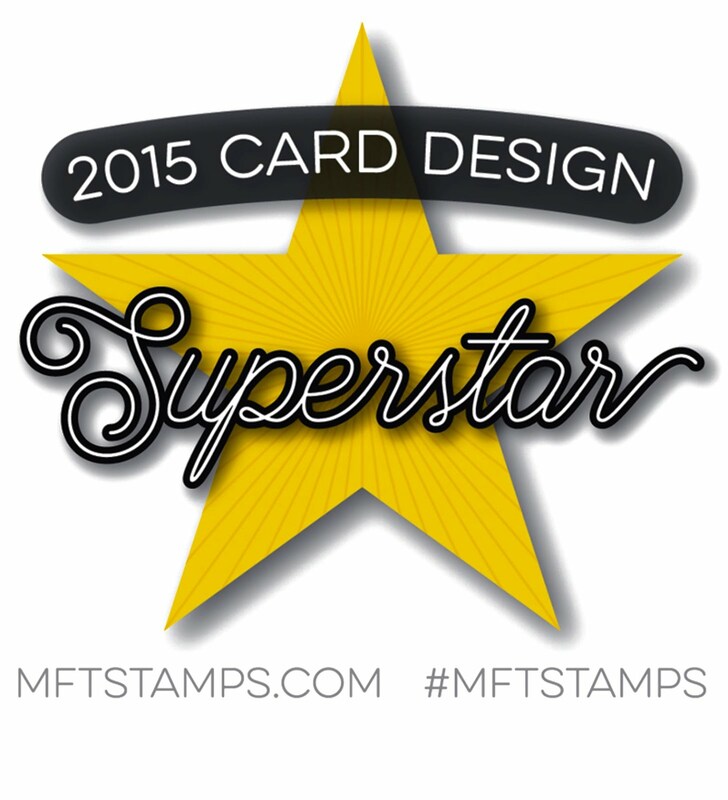 I stamped a simple wallpaper-like design on my card using Brilliance pigment inks in a selection of greens & browns. I die cut the HELLO word a few times and stuck them on top of each other for a raised sentiment.